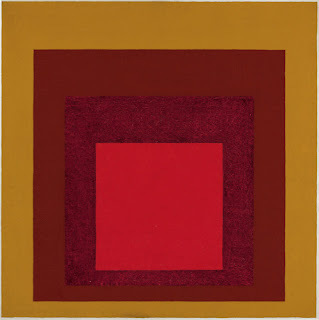 Artist and educator Josef Albers (1888* - 1976†) joined the Bauhaus movement (previously) and was celebrated in both the Weimar and the Dessau camps matriculating new members into the principles of handcrafts and was promoted to a full professorship and collaborated with artists like Paul Klee and Wassily Kandinsky with furniture designs and glassworks, until the artistic cooperative was forced to disperse under pressure from the ascendant Nazi government. 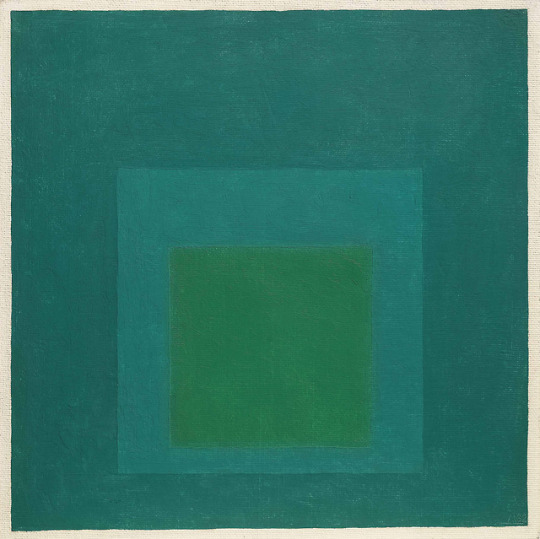 Albers immigrated to America and was sponsored by Black Mountain College of North Carolina, offered a teaching position at the new school of arts. 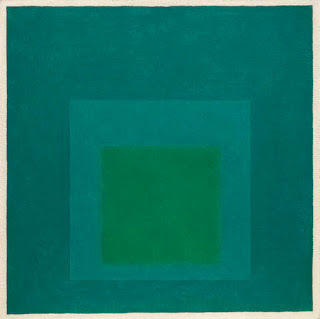 Perhaps best known for his series of mediations, studies—numbering in the hundreds like this “Homage to the Square: Unexpected Turn” (1959) or “Saturated” (1962) that he executed with a palette knife and meticulous recorded the pigments, Albers was completely given to teaching, owing that institutionalised no one was an artist or master and that all were learners and developed an influential treatise on the theory of colour (available as an app) as well as developing the foundational curriculum for the discipline which is now called graphic design.